Natalie Hamilton is a neuroscience major from Hollywood, Florida, who has excelled in scientific research. 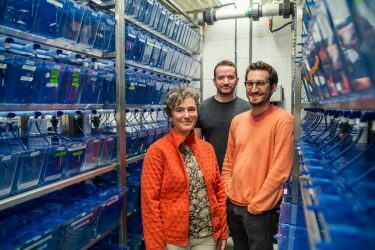 With resources from UM programs funded by both the Howard Hughes Medical Institute (HHMI) and the National Institutes of Health, Hamilton has been researching for two years with Dr. Philip McCabe’s lab at UM. 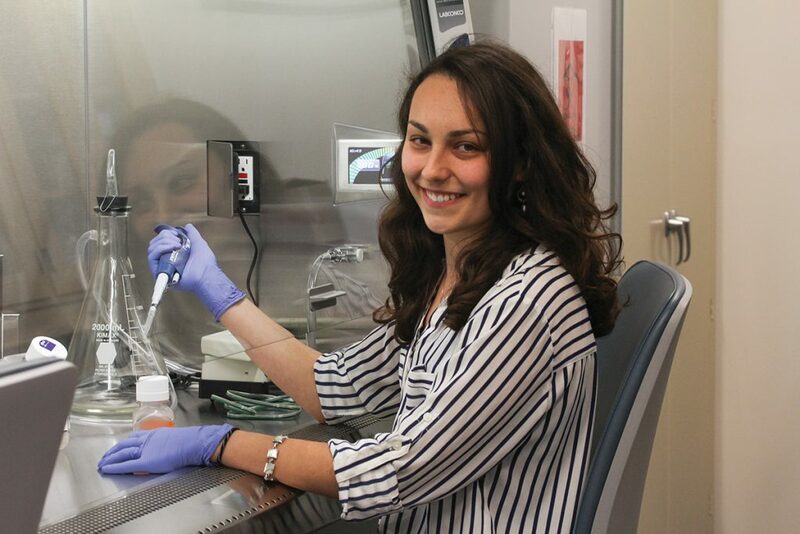 Hamilton received the Lois Pope Neuroscience Summer Research Program Scholarship and Exceptional Research Opportunities Program (EXROP) award from HHMI, which sponsored her research at Johns Hopkins University for a summer. After graduation, Hamilton will be pursuing her Ph. D. in neuroscience at Johns Hopkins Medical School. 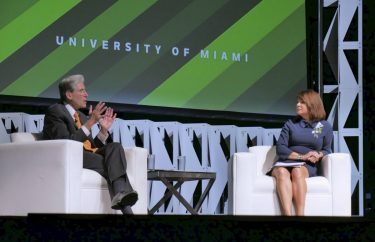 The Miami Hurricane: How would you put your research in layman’s terms? Hamilton: We are interested in how chronic stress affects atherosclerosis, which is a disease of the arteries characterized by plaque accumulation. Macrophages mediate the formation of these plaques. For my project, we’re seeing how catecholamines, which are molecules released during stress, affect macrophage function. Atherosclerosis is one of the main causes of cardiovascular disease, which is the leading cause of death in the United States. So it’s very important to understand this disease and explore possible therapeutic interventions to treat it. TMH: Throughout your time at UM, you’ve had a lot of research and fellowship opportunities. What do you think contributed to your success in applying for these programs and experiences? H: My mentors made the greatest contribution to my success when I applied. Throughout my time as an undergraduate, Dr. Gaines always gave me excellent guidance and advice regarding my career goals, and he was the one who nominated me to apply for my most recent fellowship. During the application process, he along with Dr. McCabe and my other mentors, Dr. Szeto and Dr. Mendez, read and critiqued my personal statement, wrote letters of recommendation on my behalf, and, overall, helped me develop as a student. I can’t thank my mentors enough for their investment in my aspirations. I would advise other students to develop good faculty relationships and to reach out to them to ask for advice, constructive criticism and feedback. TMH: What advice would you give to other students about building good faculty relationships in terms of research and academic mentorship? H: Be inquisitive, and don’t be afraid to ask questions. Demonstrate that you have a good work ethic early on, especially if you’re working in a lab. You may not be given a big project immediately, but even if you’re just labeling test tubes in the beginning, be sure to show that you’re dedicated and that you’d like to make a contribution to the lab. Also, be genuinely interested in the topic that your lab studies, and familiarize yourself with the relevant literature in that area early on. TMH: What are some changes you are anticipating during your transition from UM to graduate school at Johns Hopkins? 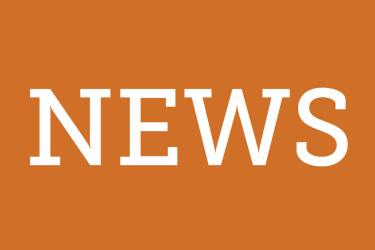 H: A major change will just be the transition to being a graduate student itself. Graduate programs are much more independent and less structured than undergraduate programs. So I’m definitely looking forward to the greater degree of independence and flexibility. I’m also excited to learn how to ask good (and answerable) scientific questions, and to think independently and creatively about problems in neuroscience. TMH: What do you do for fun? H: I enjoy running and I enjoy swimming. In high school I used to swim competitively. On occasion (I’m really out of shape) I do like to swim. I also like to collect orchids, both at home and in my dorm. At one point I had about 15 orchids in my dorm room. Most of them were Phalaenopsis orchids, but I also grew other species. My mom used to be an avid orchid collector; when I was young, my mom used to drag me to orchid meetings, where older people would trade orchids and give seminars and talks about these orchids. As a kid, those were kind of boring for me, so I would spend my time drawing the orchids. But now that I’m older, they’ve kind of become my own interest.